Your business could be at the lower end or the upper end of this range – or not within this range at all. Dump truck insurance rates vary greatly from business to business, and that’s why it’s important to get dump truck insurance quotes for your business. Read moreHow much does dump truck insurance cost? As much as we wish that we could simply go about our days without any major catastrophes happening, we all have to be prepared for Murphy’s Law: anything that can go wrong will go wrong. When you drive a complex and heavy-duty vehicle like a tractor-trailer, those little mishaps can turn into a complete disaster. Truckers, of course, are often required to travel on highways, some of which are paths less traveled. So what happens if you’re on the highway, miles from the nearest town or city, and your truck breaks down? Or, what happens if you accidentally run off the road? Well, that would be the time to call a heavy-duty tow truck, no? One aspect of being a truck driver that’s very common is back pain. A lot of truck drivers, whether they drive a flatbed truck, tractor-trailer, tow truck, or any truck, really, experience lower back pain because of the nature of the job – getting in and out of the truck, being jolted as you drive, and sitting for long stretches at a time. The back is made up of vertebrae, muscles, discs, nerves, and joints. Tweaking or straining one of those things can cause a lot of pain, and oftentimes truckers experience back pain because the discs in the back get compressed as you sit for long periods of time. To help you prevent back pain, here are a few easy tips. Electric vehicles have become quite the trend lately – they’re quiet, sleek, and eco-friendly. But what about an electric…semi truck? Is it even possible? Tesla CEO Elon Musk says “yes.” And not only that, he actually did it. Tesla has created an entirely electric truck. But what is this vehicle really about? What’s the big deal about the Tesla Semi? We’ll explain the basics about this very snazzy semi. When you go to renew your truck insurance, chances are your premium is not going to stay exactly the same. In fact, if your agent says that the rate’s going to be the same without asking you to update the details they have about your business, you should be wary. 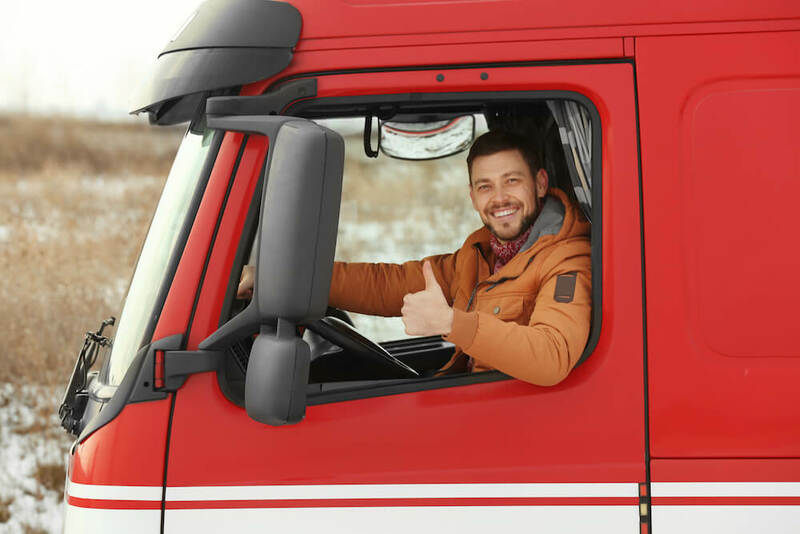 The reason that your truck insurance renewal rate might change is that the details that affect your rates are probably different than they were last year when you were getting truck insurance. We’ll explain some of the details you’ll want to go over with your agent prior to your renewal. Truck driving is not for the faint of heart. The open road, though freeing, is also dangerous, especially when you drive a huge big rig that weighs however many tons. It’s like a missile. Once that thing gets off track, there’s almost no stopping it. However, we’ve got a few truck driver safety tips that can help you stay safe on the road. The ELD mandate has generated a lot of discussion and protest in the trucking world, to say the least. The mandate, which went into effect in December of 2017, required truckers to have an ELD, or electronic logging device, in their vehicles to track their hours of duty. Electronic Logging Devices were meant to promote a safer workplace for truckers and they were supposed to help trucking businesses improve safety. The goal was to make tracking, managing, and sharing Records of Duty Status (RODS) data easier and more efficient. An Electronic Logging Device syncs up to the engine to automatically track drive time. According to an article in The Washington Post, the nation is currently dealing with a major truck driver shortage. It’s estimated that about 50,000 truckers are needed to meet demands for transportation and shipping. The retail industry is feeling the strain: many retailers have had to delay certain shipments and are paying higher costs for shipping.